Thank you skyzyk Now I see that I have a little mistake in the name-it must be RegistryCleaner...ups...perhaps one of the Admin can change it for.Or must I do this? Yeah...how did you create it? This is the fifth version of this Icon-the first four I through away How I make it? 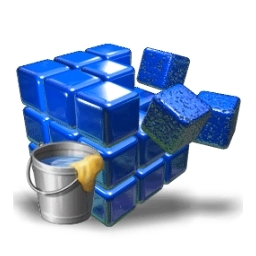 In the first with Paint.net with three layers (one for the cubes,one for the shadow and one for the bucket) with a special add-on you can save it from 32bit 256px� to 8bit 16px� in one step. Only the 4bit (48px�,32px�and16px�)is not possible with this. I open it than new with IcoFX portable and make with that program the rest (4bit) work. That's it.. I've been searching for the perfect icon to replace the stock icon for Registry Mechanic, I have now found it! Awesome work!